Unlike her brothers and sisters, Anthea cannot see, so when they all go to the beach one day, their mother tells them to take care of her. While they are all playing on the sand, a thick fog rolls in from the ocean. Suddenly it's up to Anthea to get everyone home safely Written by the legendary Margaret Mahy and with artwork by master illustrator Gavin Bishop, this is a beautifully told story that will give readers young and old a new perspective on blindness. 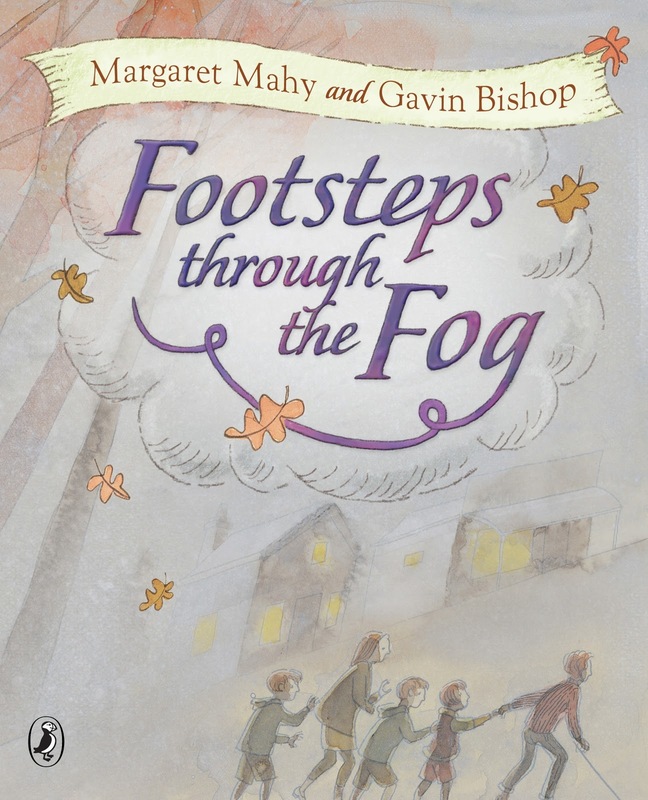 This book is just wonderful, but I wouldn't have expected anything less from Margaret Mahy. Through this book we can experience a world where, without sight, we can 'see' the world in a completely different way. Five brothers and sisters head down to the beach for the afternoon. Anthea is the middle sibling, and she is blind. On the trip down to the beach we observe everything that Anthea does, the trees whispering secrets to each other, past rose bushes and lavender, past a cake shop and following the sounds of the sea, down 5 steps to finally reach the beach. When her brothers and sisters run and play, as soon as they hot the sand, Anthea sits. She listens to the waves crashing, and the different sound of the creek running under the bridge, she feels the sand, and when her cane it's something odd, she even finds an old show washed up on the shore. 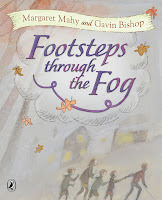 When her siblings come rushing back to her, their voices worried, Anthea learns that a dense fog has rolled in and they can't see anything, the world has been swallowed up by fog. Now it's Anthea's turn to lead the small tribe home, she uses her senses of hearing and smell, and she follows all of the markers she noticed on the way down to the beach, and gets everyone home. The story on its own is wonderful, but there's a bonus in the back of the book, a gate fold that opens out displaying the braille alphabet, the cover of the book also has the title in braille. You can just see the braille lettering under the title.